Sheffield Wednesday defender Martin Taylor believes they are capable of a second successive promotion. 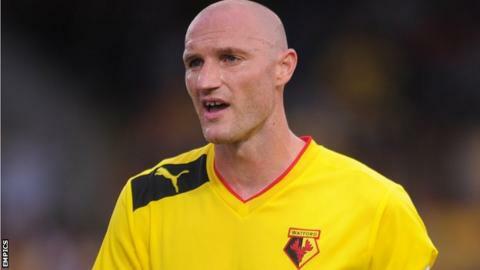 The 32-year-old joined the Owls for an undisclosed fee from Watford on transfer deadline day. "There's a great team spirit here and straight away I could tell what kind of ethos Dave Jones has created," he told BBC Radio Sheffield. "There's a lot of potential to push on and I think there's a real opportunity this season." He added: "It's fine margins between being mid-table and being in the play-offs in the Championship but I think we can definitely be in the mix. "Hopefully we can win as many games as possible and get ourselves in the top six." The Owls, who suffered a first defeat of the season against Crystal Palace on Saturday, are currently sixth in the Championship after four matches. Their next match is away at Brighton on Friday, 14 September because of the international break and Taylor has mixed emotions about having to wait to make his debut. "I've got my match fitness up so this is probably a good chance for me to get in and train with the lads," the former Blackburn and Birmingham City man continued. "On the other hand I'm raring to go and when you join a new club you just want to get out there and play your first match."